For picturesque beauty and fascinating history, look no further than these European towns. More manageable than the sprawl of a city, but still with plenty to explore, photograph, eat and drink. Perfect for a girls weekend or a romantic getaway, be inspired for your next trip with these pretty destinations. Krakow, in Poland boasts an atmospheric medieval old town, centred around a 200-metre market square. This should be the first stop for any sightseers looking to get a feel for the place. The square is full of performers, flower stalls and a weekly antique market, not to mention three of the city’s most notable buildings, including St. Mary’s Basilica. From here take a horse and cart tour of the rest of the old town, to see more amazing architecture, including the castle. Spend the afternoon wandering the cobblestone streets, shopping and taking long stops at cafes. For historic beauty in Spain, you can do no better than Granada. The town is famed for its medieval architecture, set to the dramatic backdrop of the Sierra Nevada mountains. The main attraction is the Alhambra, a magnificent fortress perched on a hilltop, where royals once spent their days. While away an afternoon wandering the palaces and grounds, to get a feel for life as a medieval king. You could easily lose yourself in the alleyways of Granada for a week and still not have seen everything. Each neighbourhood has its own unique atmosphere, so take your time browsing the small shops for souvenirs, stopping for tapas and taking photographs. The walled old town of Lagos is a picture-perfect example of why Portugal is on the up and up when it comes to fabulous holidays. You can stay in a traditional, yet luxurious Portuguese villa with beautiful views, and plenty of nearby markets to pick up seasonal ingredients to cook with. You’ll love exploring Lagos, it was an important port town, so the buildings are steeped in fascinating history. 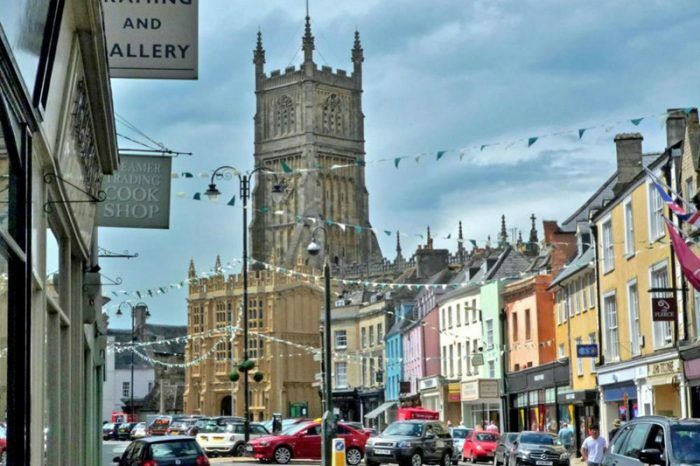 The best way to explore the town and the surrounding countryside is by bike. After you’ve pottered around the picturesque side streets, why not pedal the coastal path to explore nearby villages for the afternoon. Lagos has the added bonus of being a beachside town, so when pounding the pavements gets too much, grab a sun lounger on Meia Praia and enjoy some serious chill-out time. The town of Cirencester, in the Cotswolds is the perfect getaway for those who love to step back in time. The award winning Corinium Museum reveals the history of this Roman settlement through a collection of incredible artefacts. To continue your tour of all things Roman, how about a visit to the ruins of one of the largest villas in the country? Experience the ingenuity of the era in the underfloor heating system, latrines and bathhouses as well as some intricate mosaics. If the weather is fine, spend an afternoon in the grounds of St. Mary’s Abbey, a stunning area of natural beauty comprising lakes, wooded areas and a peaceful atmosphere. If you are travelling with your loved one, then you’ll be spoilt for choice with the wide array of romantic holiday cottages here. If you’re lucky enough to be visiting when the weather is good then you can enjoy pottering about and going on walks, however if it is raining you can enjoy sitting by a roaring fire in one of the many cosy pubs around the area. Historic York is steeped in cultural influences as diverse as the Vikings and the Romans, so it makes for a fascinating explore. 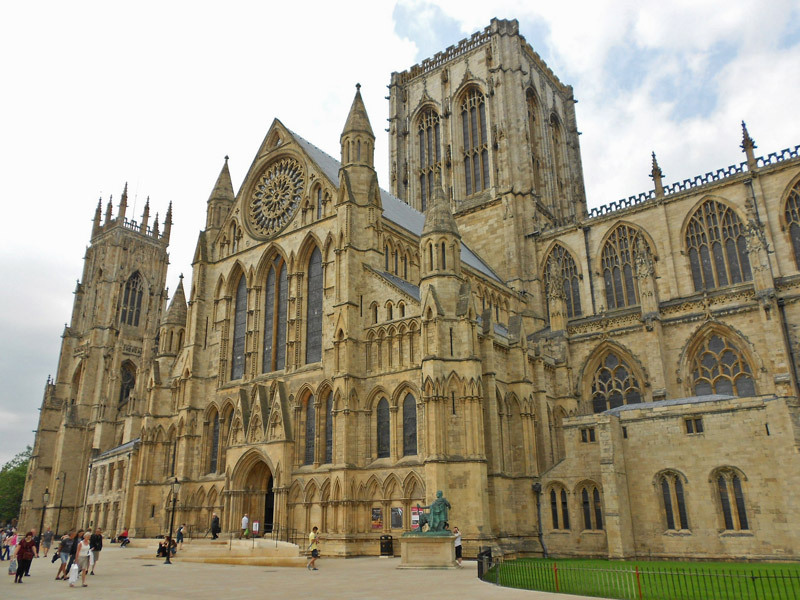 York Minster cathedral is the natural starting point. One of the most magnificent buildings in the country, you’re sure to be astounded by the scale and beauty of the building. Continue your trip by heading to York Castle, another famed landmark with an impressive history. Beyond that, the only concerns you will have will be which pretty alleyway to amble down next and which culinary delight to feast on that evening. York is famed for its diverse restaurant scene, so you are sure to be delighted. Visiting York should certainly be on your Yorkshire itinerary, you can see some other ideas of places to visit here. For the ultimate combination of history and beauty, these European towns deliver in spades.